In May 2017, Mexico City suffered the longest spell of dangerous air pollution in decades. A phase I alert was declared by the Mexican government on May 14th, and remained for six days; a record since 1998. With daily US AQI averages over 160 (that’s firmly into the ‘Unhealthy’ range of the scale), increased restrictions were placed on heavy-emitting vehicle usage and sensitive groups were advised to remain indoors. With 21 million inhabitants, congested roads, and a geographical location in the basin of the Sierra Madre mountain ranges, it is not uncommon for the city to experience high levels of pollution. 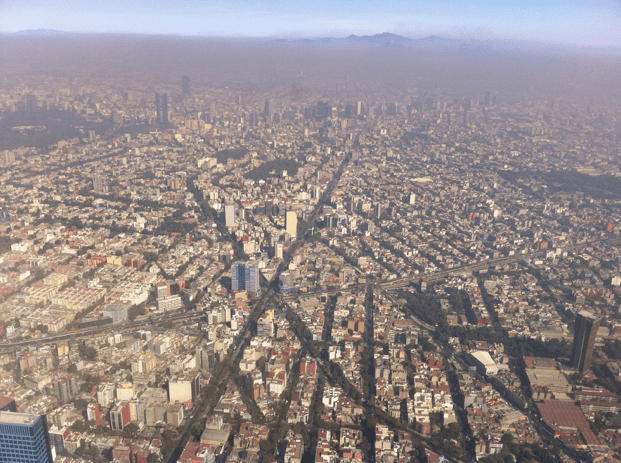 During its industrial and residential expansion in the 80s, bringing a surge of new vehicles and factories, the Mexican capital entered a well-known struggle against the resulting poor air quality conditions. Since then, the government has implemented many drastic measures to improve air quality, which have greatly improved the situation. New initiatives from driving restrictions, like “Hoy No Circula” (No-drive days), to improved public transport, may have helped reduce average PM2.5 concentrations, but most people are still largely unaware of the harms still present in the air. Raul, an active air quality enthusiast in Mexico, has deployed 6 public AirVisual Node air pollution monitors to help raise awareness of local air pollution. According to Raul, many Mexican citizens know that the air is polluted, but often underestimate the severity of the problem and associated health risks. It’s not until you have numbers and graphs that people really understand the magnitude of the problem. Raul saw that many people were not associating their physical symptoms of breathing polluted air with its invisible source. 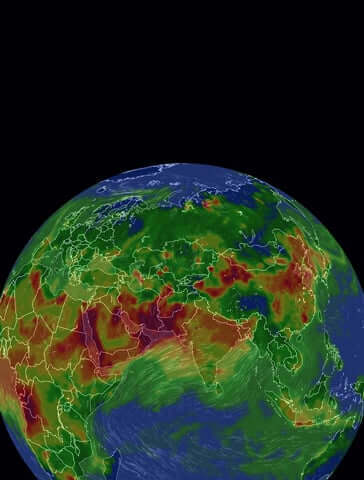 Part of his goal in raising this hazard’s visibility with live PM2.5 readings, measured by the Nodes, is to help ‘make people aware that allergies and dry throats are not normal’, but a consequence of high pollution, and encourage people to take proactive measures to reduce their exposure. When they see the charts, then they start to correlate their illness with pollution. Raul believes providing people in his community with real-time data will help to change daily habits and encourage more proactive measures against airborne dangers. Many are already using AirVisual's free air quality app to check the localized data, backed by the monitors. On a day-to-day basis, Raul finds that the Nodes help to stay “aware of pollution levels and be prepared for the day”. When air quality is poor, Raul checks his app frequently and uses his alert notifications to take appropriate precautions. Raul and one of his six Nodes - Hi Raul! Find out: how to become an outdoor data contributor..